Tilly and the Buttons: When we say Summer, you say Sale! When we say Summer, you say Sale! 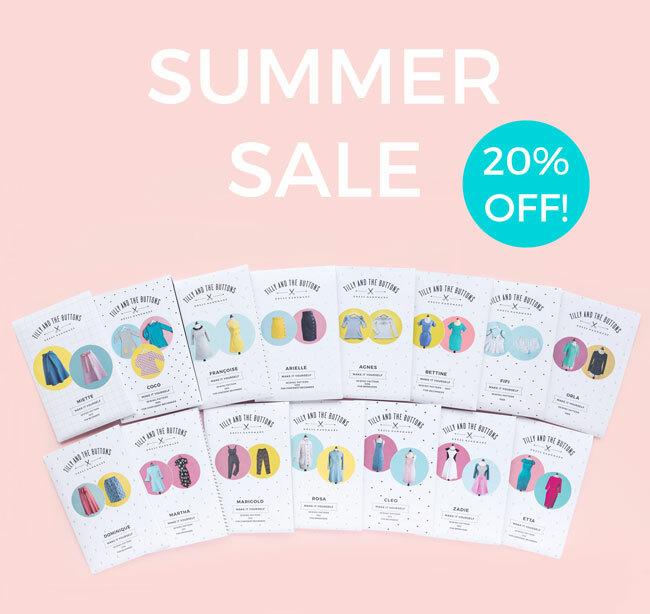 The sun is out, and our sewing machines are whirring away as we're itching for a whole new summer wardrobe... and because we thought other people might be in the same boat, we thought we'd give you 20% off sewing patterns and kits! The discount code is not valid on pattern bundles, books, dungaree buckles, gift vouchers or online workshops. 20% discount ends Sunday 6 August 2017 midnight GMT. 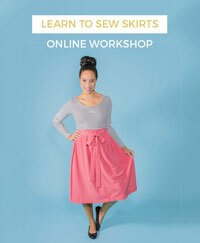 Here's your chance - stock up on sewing patterns, and get that wardrobe looking fresh! Searching for the perfect fabric and notions? 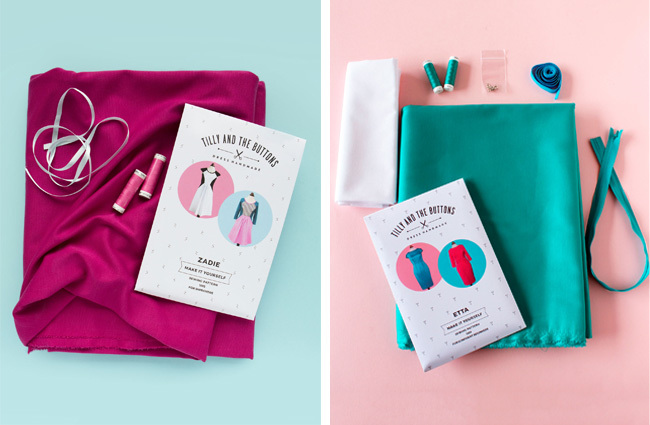 Luckily, the sale extends to our sewing kits, which contain everything you need to whip yourself up a comfy and chic Zadie dress in gorgeous ponte di roma, or an elegant and sophisticated Etta dress in luxurious cotton stretch sateen - just add sewing machine. 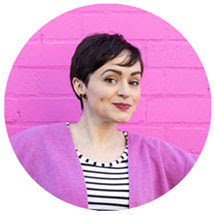 Sewing Space Tours... Kate's South London Studio! Come and see us in September!